Having only been running for just over a year, GOZOO are relative newcomers in comparison to the likes of Insert Coin and Musterbrand. The later being where I first came across some of GOZOO‘s unique looking Tees as a lot of Musterbrand‘s latest Hitman, Witcher and Star Wars tees were made by this German based company. Then I came across their Amazon store and my mind was blown, the tees stocked by Musterbrand (until very recently) were the merest tip of a substantial iceberg of snazzy printed cotton tops. With ranges covering Marvel, DC, Star Wars, Game of Thrones and games such as Halo, Deus Ex, Metal Gear Solid, Witcher, Warcraft, Hitman and Uncharted. Having had my eye on a few different tees since last summer I added a couple to my Xmas list, which happen to coincide with a tasty Pre-xmas sale on Musterbrand’s store front, I requested the Hitman Silverballers and Uncharted 4 Drake tees. Then just as Star Wars Rogue One released at cinemas GOZOO did a lovely 15% discount on all their lines. Well this was far too good an opportunity to miss, so I filled my Amazon shopping cart and applied the discount, for it to only discount on the Star Wars Tee. 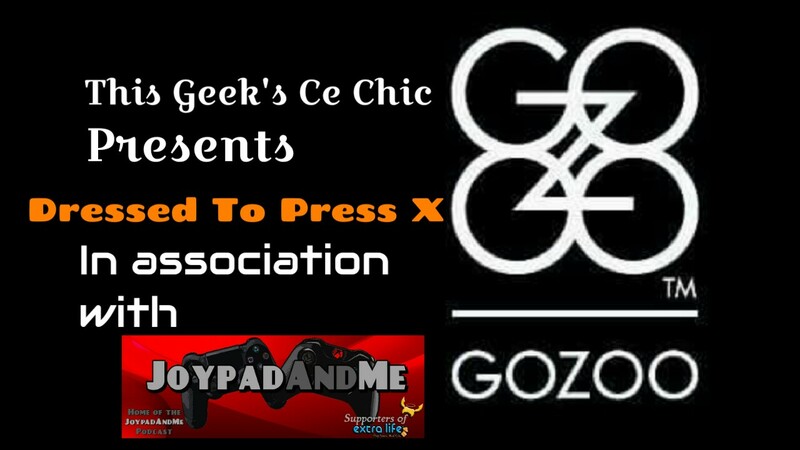 Thankfully the lovely people at GOZOO Style Instagram account spotted my dismay and quickly rectified the situation, which led to me deciding to give them the This Geek’s Ce Chic treatment for JoypadAndMe. Ignoring the rigmarole of initially ordering I was impressed my how easy it was to pick the styles and Sizes I wanted mainly due to it being on Amazon‘s shopping platform. The variety of prints and colours is really impressive, as is the fact that a majority of styles are available in a women’s fit. The sheer number of tees I had in my cart was substantial, but I had to be sensible and picked three. So the price was a little bit of a concern though as £24.95 is certainly on the upper end of geeky tees pricing for me. Just this month these prices have now come down to under £20 on Amazon. That said certain tees can be picked up from Musterbrand for £20.95 which makes them a little more reasonably priced, and I know Santa managed to grab a cheeky 20% off due to festive discounts. I placed my order for three GoZoo tees on December 15th and chose standard Amazon shipping which was actually free and got a notification saying it would arrive on the 23rd, to my surprise they actually arrived on the 20th. Delivered in a polylope, the three tees came nearly folded in individual sealed clear plastic packages with an orange GoZoo label stating the style and size, stuck to the front. I tried to order a range of colours and print styles to give me a wider impression of GOZOO‘s quality. The first thing I noticed was the term “super soft cotton” is entirely accurate, these tee’s made in Portugal really are incredibly tactile. The colours are entirely accurate to the images on the storefront, which is a great feature when it comes to planning your companion pieces. The prints are incredible, really bold and of incredible quality. They reminds me of the striking prints on my Streetfighter X Tekken tees from Musterbrand. Sizing is a little point of contention for me, thankfully I’d been informed by Musterbrand’s CEO Knut Bergel, that GOZOO tee’s are very much slim fit and to go for a size larger than you usually order, unless you have the body to pull off a fitted Tee. I went with XL and they fit perfectly and large enough to wear over a Longsleeve Tee. A really nice touch is that certain tees have a subtle print on the back or like the Uncharted Tee are double sided. All of the tees have a brand logo printed with copyright information confirming they’re licenced official merchandise, on the inside of the back of the Tee, As well as a bold orange GOZOO label and a washing instruction label that actually mentions Musterbrand. Summing up, I think you’ll agree from the five tees I picked up they really are sharp looking T-shirts. The fabric truly has to be felt to be believed, as it feels incredible on the skin, and the quality of the print will hopefully withstand multiple washes. 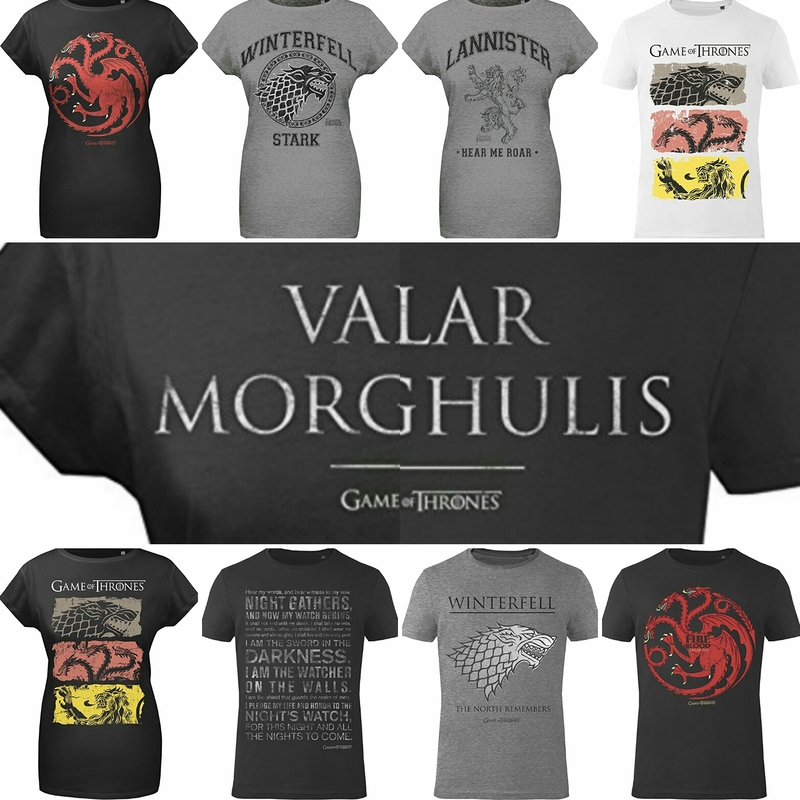 The amount of variety is really impressive and I’ve certainly got my eye on a few more designs. Recently GOZOO have added new Star Wars premium tees, polo shirts and some nice looking jumpers and hoodies. Though the latter may be a little out of my price bracket at the moment by being £85. Also it’s worth noting that after Musterbrand.com had a face lift loads more Amazon exclusive tees are now available through Musterbrand. The ease of ordering and the speed of delivery was certainly impressive and definitely match the quality of their products. The recent price drop puts them at a really good price point too, so I’d say give them a try. With a growing presence on Instagram (@gozoo.style) and Facebook GoZoo Style certainly are worth checking out and not just because they’ve been kind enough to share my Instagram pictures. Click the above image to watch my video giving you an idea on how the five GOZOO tees look and feel with aditional styling tips. I certainly feel that their Tees assist me in being #DressedToPressX and I’m sure will be making an appearance on my Livestream’s for Joypadandme.com. This is not a paid advertisement, all items were purchased with reviewers own money or received as gifts from family. Images are either from GoZoo’s Amazon page or my own with additional edit done by myself. It’s worth noting that currently you can get 15% off everything on Musterbrand’s store with code MB-Relaunch. There’s a whopping 20% off all GoZoo’s apparel via their Amazon store using code GZLove17 until (18th February 2017). Writer, Podcaster, Developer Liaison and Live streamer for JoypadAndMe. Creator of This Geeks Ce Chic and Dressed To Press X.